Totally Fuzzy is the name, music discovery is the game. 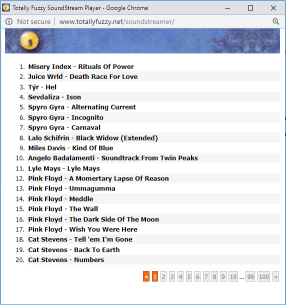 Welcome to Totally Fuzzy, once your guide to the music blogosphere, now fully converted into an indie/rock/pop/metal/anything really - music blog, loaded with official and legal full album streams. Because music is something to listen to, and not something to talk or read about, we have chosen this approach, carving out our own little niche in the music blogosphere. And we're still running our Class A Music Video site a.k.a. The Fuzzy Tube, with well over 100.000 hand picked High Quality music videos. 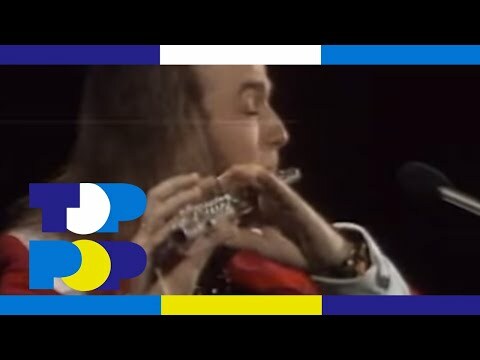 Thijs van Leer (Amsterdam, March 31, 1948) is a Dutch flautist and keyboard player. Together with the guitarist Jan Akkerman, he is best known as member of the band Focus. Van Leer also made solo albums as a flautist, on which he played his own compositions in addition to arrangements of classical pieces, with background vocals by Letty de Jong and arrangements by Rogier van Otterloo. These albums appeared under the title Introspection, Introspection 2 and Introspection 3. 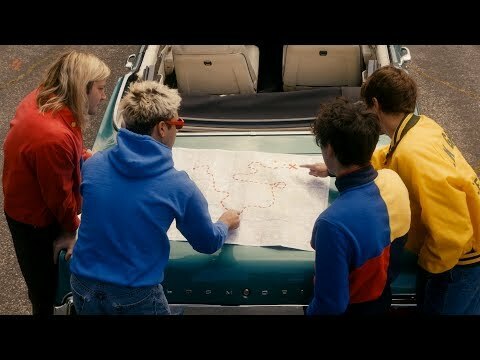 Description : HUNNY - "Lula, I'm Not Mad"
Blending sterling pop hooks with melodies and arrangements influenced by '80s alternative rock (especially the Cure) and lyrics that put an upbeat spin on heartache, HUNNY broke out of Southern California in 2015 with the independent single "Cry to Me," which became a major hit on streaming services. Led by vocalist and songwriter Jason Yarger, HUNNY became one of California's biggest indie success stories thanks to songs like "Vowels (And the Importance of Being Me)" and "Televised," and in 2018, they signed with leading punk label Epitaph to release the EP Windows II. The members of HUNNY all hail from Newbury Park, California, a town near Malibu. Lead singer and guitarist Jason Yarger and bassist Gregory Horne had been friends since high school and played in a rock band together, while guitarists Jake Goldstein and Jake Munk had been playing music since their early teens. While they had all played in a variety of bands, it wasn't until the musicians were sharing a house together that they decided to join forces, with Yarger contributing songs originally written for a solo project. With the addition of keyboard player Kevin Grimmett and drummer Joey Anderson, the first lineup of HUNNY was complete. In 2014, they released their debut single, a track titled "Honey Blonde," but it was with their 2015 release "Cry to Me" that the group made their breakthrough, as the tune was streamed over a million times within a year, eventually racking up over three million plays. Pain/Ache/Loving The band hit the road for a nationwide tour with fellow Californians the Neighbourhood and Bad Suns, and in October 2015, HUNNY dropped the five-song EP Pain/Ache/Loving, which included "Cry to Me" and another streaming success, "July." 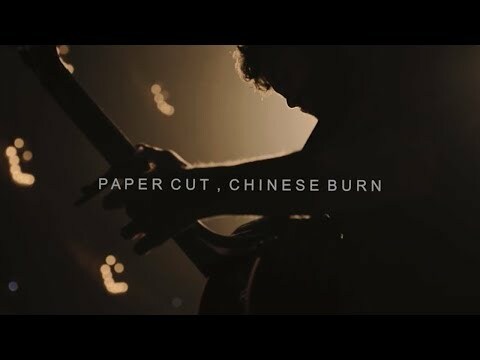 By the time the EP arrived, the group was a five-piece, following the departure of guitarist Jake Munk. HUNNY's success continued into 2016, as their single "Vowels (And the Importance of Being Me)" became another hit, receiving more than 4.5 million plays on major streaming services. In 2017, they released another EP, Windows I, which included two more streaming hits, "Televised" and "Shy." As their following grew, HUNNY revealed that they had signed with the well-established punk label Epitaph Records in mid-2018; the label promptly released Windows II. The EP appeared after bassist Gregory Horne left HUNNY, with Kevin Grimmett now serving double duty on bass and keys. 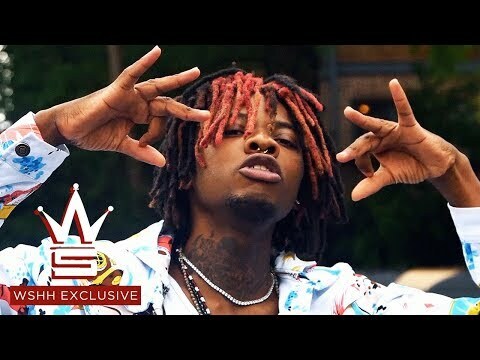 Watch the official music video for "Money Counter" by Woah Vicky. Memory looms large on Horse Jumper of Love’s hypnotic sophomore album, ‘So Divine,’ but it remains elusive. Throughout the record, tiny snapshots from the past float to the surface, baring themselves for brief moments before diving back into the ether. Like abstract collages, the Boston-based three-piece’s songs jumble richly detailed scenes and vivid imagery, papering over one moment with the next until each string of seemingly unrelated thoughts coalesces into a breathtaking work of art, one that reveals deep truths about ourselves and our psyches. The same could be said of Horse Jumper of Love’s music. Praised by Stereogum as a “delightfully distorted mess of energy,” the band’s sound is absorbing and urgently hypnotic, with songs that develop at a glacial pace, progressing forward with almost imperceptible momentum to carve deep canyons and valleys through walls of solid rock. Giannopoulos officially launched the group with bassist John Margaris and drummer Jamie Vadala-Doran in 2013, taking their moniker from a Latin phrase that had gotten more than a little lost in translation. 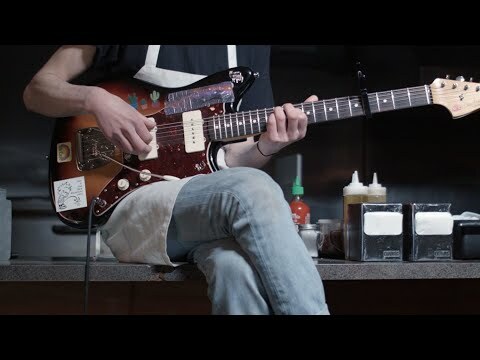 The band would spend the next three years refining their studio craft and live show, garnering a devoted following playing DIY gigs around New England as they climbed their way into what Pitchfork described as “the top tier of the Boston house show scene.” In 2016, they released their self-titled debut to rave reviews, with NPR praising the band’s “slow, syrupy rock songs” as “cautiously measured and patiently curious” and Audiotree hailing the “soft spoken, contemplative trio” for their “unique sonic palette and precise compositions.” In 2017, the group released a vinyl and digital re-issue of the album along with a limited edition demo anthology. ‘So Divine’ will mark the band’s first release for Run For Cover Records. Watch the official music video for "Striking" by Z6SleepyRose. 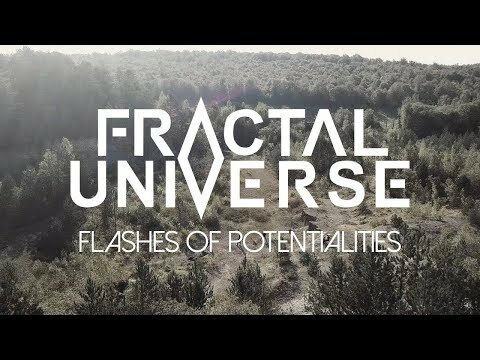 Fractal Universe "Flashes of Potentialities" video from "Rhizomes of Insanity." Directed by Vincent Tournaud. Fractal Universe's sophomore full-length hits as hard intellectually as it does sonically, affirming the French quartet's place on the progressive death metal map. "'Rhizomes of Insanity' is a concept album based on a thought experiment around the concept of insanity," asserts vocalist/guitarist Vince Wilquin. "It questions the origins of it, and tries to define where we set its boundaries with 'reason'. It eventually questions its place in our modern society and surmises that it has turned into an intrinsic, unavoidable but also necessary part of it and of every human being, which we're trying to repress at all costs." From start to finish, the album is an immersive, complex yet wholly accessible collection rich in melody, invention, and packed with decimating riffs - wielding ten tracks, all of which hit their mark. Slowly Slowly perform a stripped back version of 'Jellyfish' at triple j's Good Az Friday in Melbourne Town Hall. Since 2004, many artists have participated, including Childish Gambino, Lorde, CHVRCHES, Tame Impala, Tash Sultana, HAIM, Gang of Youths, Halsey, DMA'S, Aurora, Arctic Monkeys. 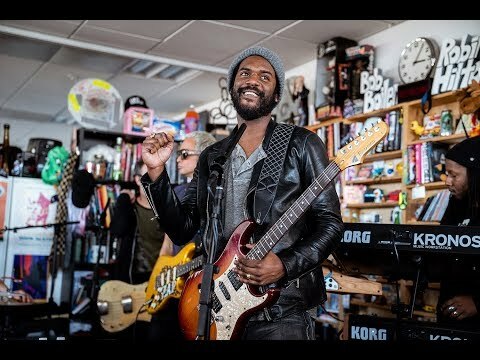 "Live @ NPR Music Tiny Desk Concert" music video by Gary Clark Jr.
April 16, 2019 | Stephen Thompson -- Gary Clark Jr. had good reason to sweat. The blues-rock singer and guitarist opted to play his first-ever Tiny Desk concert — in front of a huge crowd that warmed the room considerably — while clad in a thick knit cap and heavy jacket. Plus, he'd brought his young son on tour with him and had to contend with a traditional parenting dilemma: How do you bring your kid to the office and still get work done? But once Clark and his formidable band got done cranking out three songs from this year's blistering This Land, he wasn't the only one in the room who needed to wipe away the sweat. Clark's set leaned toward some of This Land's softer sentiments — "When I'm Gone" is about missing his family on the road, while "Pearl Cadillac" exudes gratitude for his mother's sacrifices — leaving its more politically incendiary material for louder live shows. But these songs still roared with the assurance and force of a showman at the top of his game. Tags : 2019, 10s, Gary Clark Jr.